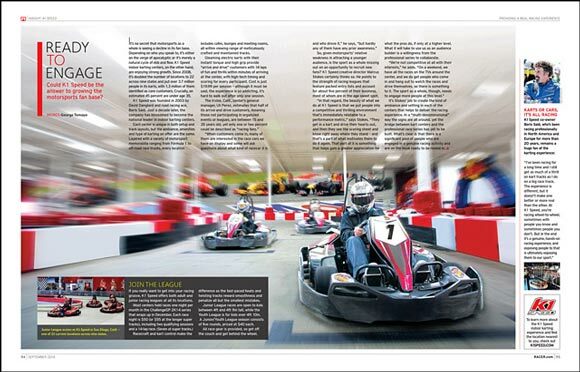 K1 Speed is featured in the September issue of RACER magazine in an article focused on the growing popularity of indoor karting. 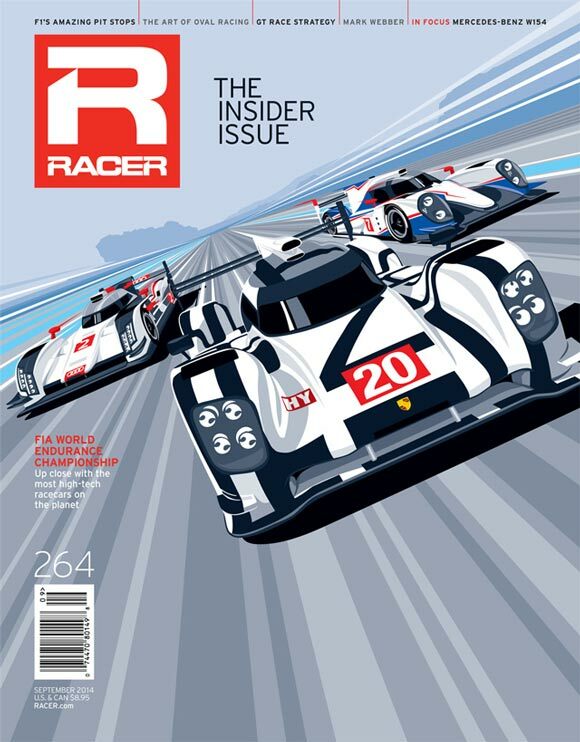 K1 Speed and RACER have partnered to provide FREE access to the digital edition of this issue to all K1 Speed customers. CLICK HERE for instant access to your FREE issue. • The most advanced race cars on Earth compete in the FIA World Endurance Championship. From Le Mans to this month’s race at Circuit of the Americas in Austin, these cars serve as rolling R&D labs for manufacturers like Audi, Porsche and Toyota as they endeavor to take innovations developed for their high-tech race cars to the streets. • The complex choreography and endless practice behind those frenzied two-second Formula 1 pit stops. • Verizon IndyCar Series owner/driver Ed Carpenter reveals what it takes to master the art of oval track racing. • After saying goodbye to F1, Mark Webber is relishing the challenge of turning Porsche’s all-new Le Mans race car into a winner. • All this and much more in the September issue of RACER. “Racing is not only a key part of our business, it is also my passion. I try to keep up to speed on all that is going on in the racing world and I enjoy reading the coverage in RACER magazine and online at RACER.com. I appreciate their thorough reporting and they certainly share that same passion for racing.” — ROGER PENSKE.